Is This The End of EBT? 2017 saw a flurry of letters from HMRC arriving on the doorsteps of Employee Benefit Trust (EBT) users. This is part of HMRC’s ongoing war on ‘tax avoidance’ schemes initiated in 2010. Employee Benefit Trusts have been used extensively since the 1980s to reduce the tax burden on employees. The idea is that salary payments are made not to the employee directly, but are paid to the trust by the employer. The employee then receives loan advances from the EBT. The Finance Bill 2011 determined that the advantages offered to EBT scheme users amounted to tax avoidance, and closed the loopholes that allow them to operate. Since then thousands of businesses have received payment demands from HMRC to recover ‘unpaid’ taxes. Some of these have been fiercely contested in the courts, the most notable of which being the Rangers case of 2016, which decided in HMRC’s favour. EBT Member & Haven’t Received A Payment Demand? If your business pays into an EBT, or you are the beneficiary of such a scheme and you haven’t yet received a payment notice from HMRC, you may feel that your scheme is somehow ‘above board’ or has been overlooked. This won’t be the case. HMRC is proceeding piecemeal against EBT schemes, with the result that the majority of users will not yet have received a payment demand. Partly this is because there is no single definition of an EBT. HMRC is targeting any trust that provides ‘benefits’ to present and current employees, but this definition is unworkably large. In practice, the category includes pension schemes, share schemes etc. that are exempt from the EBT investigations. So progress is slow. It is also expensive. Although it is clear that HMRC is winning an inexorable war of attrition against employee benefit trusts, the costs are high. In 2011, HMRC estimated that £3 billion in additional tax revenue could be reclaimed from EBT users. So far only have £650 million has been recovered – a huge shortfall. Partially this is because the courts haven’t awarded HMRC the full sums demanded in every case, and partially because the cost of litigation is huge. HMRC has deep pockets but is inherently cautious. It makes sense for it to choose the most cost-effective and least risky court battles as a priority and proceed slowly. It is impossible to second-guess the status of a specific scheme. You may receive a payment demand next month, next year or not at all. Public government U-turns are rare, although it is not uncommon for a scheme to be quietly dropped if the costs (in litigation fees and so on) are considered too high. We simply can’t tell, so it is best to be prepared to receive a payment demand, even if this never comes. While EBT schemes aren’t technically illegal, the writing on the wall is fairly clear. The HMRC victory in the Rangers case in 2016 was only one of a string of decisions in the Taxman’s favour since 2013. In fact many EBT scheme owners are being advised to voluntarily settle EBT liabilities without court action being necessary. In principle at least, HMRC are winning the war, even if in practice they decide some battles are too costly to pursue. Legal precedent has been set that PAYE liability applies to an employer from the moment a payment is made to the trust i.e. all payments to an EBT on behalf of an employee are treated as SALARY for tax purposes, NOT as loans. Our advice is that if you aren’t part of an EBT scheme at present, don’t bother joining one, and if you are, seek out tax advice as soon as possible. 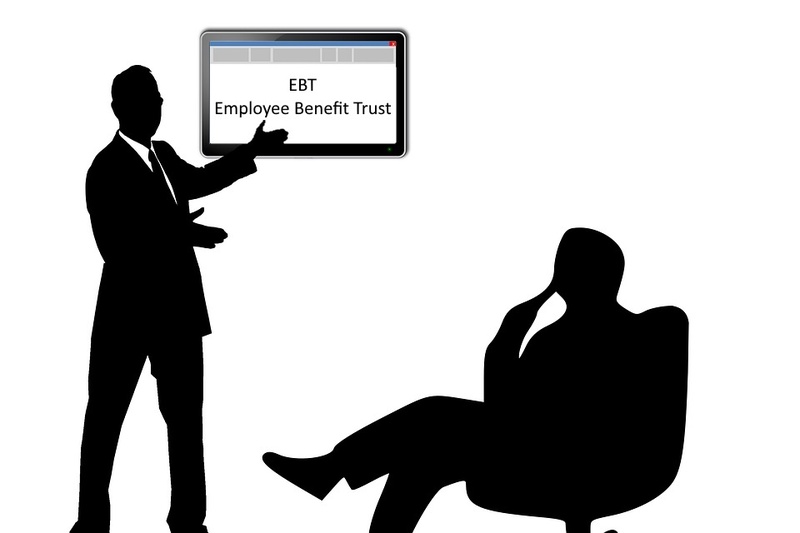 While employment benefit trusts may have seen their heyday, if tax burdens are considered unreasonably high there will always be people willing to investigate opportunities that alleviate the tax burden. We advise caution and careful analysis before taking part in any such scheme, backed by the professional opinion of an accountant and/or tax advisor. If you have experienced payment demands from HMRC related to an EBT, are facing a section 9a tax investigation or an HMRC enquiry into loan payments from an EBT, get in touch and speak to one of our advisers today. We offer a free initial consultation for all businesses facing difficulties with creditors, including problems arising from tax debt. Call 0333 0143454 in confidence today to speak with one of our advisers, or visit our contact page to locate your local BCR office.